1. 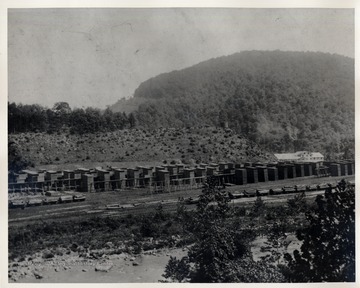 Pardee and Curtin Lumber Company Mill Yard, Bergoo, W. Va.
Pardee and Curtin Lumber Company Mill Yard, Bergoo, W. Va.
Logs and lumber piles seen from a distance. 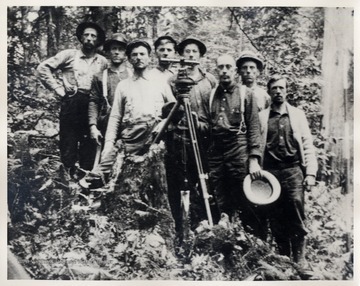 Portrait of crew with surveying equipment. 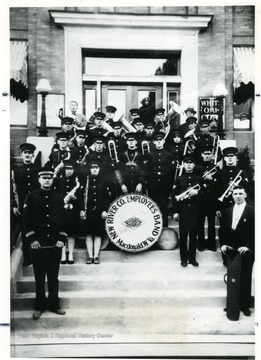 Group portrait of the New River Coal Company band in uniform standing on steps. 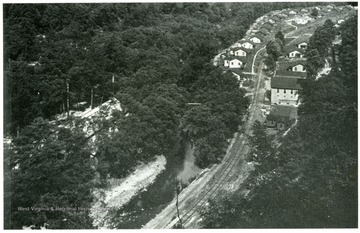 'View of Montcoal, the attractive up-to-date town built up around the Colcord Coal Company operations.' 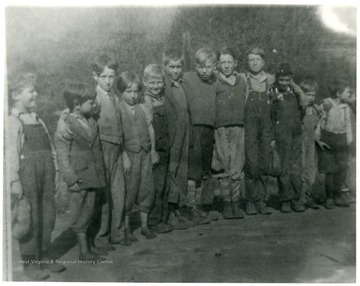 The picture came from the West Virginia Review, page 429, in an article titled 'A Coal Company that is a real Community Builder'. 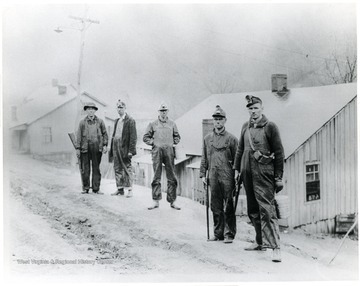 Five miners with guns and buckets stop on the road in front of houses for a picture. 6. 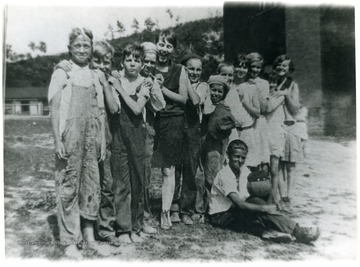 Miners' Children at the Shack in Pursglove, Monongalia County, W. Va.
Miners' Children at the Shack in Pursglove, Monongalia County, W. Va.
8. 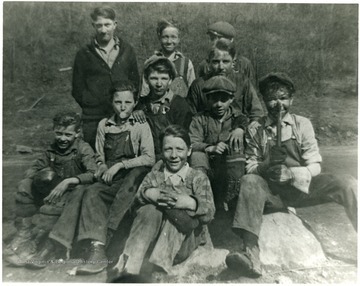 Pursglove Boys, Monongalia County, W. Va.
Pursglove Boys, Monongalia County, W. Va.
9. 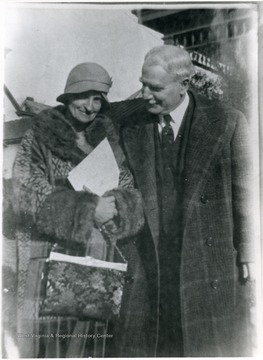 French, Dr. &amp; Mrs.
10. 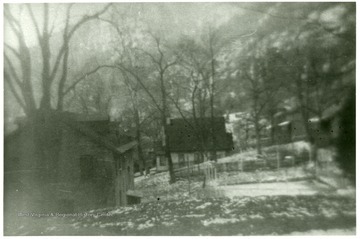 Home of Bert Beury at Beury, W. Va.
Home of Bert Beury at Beury, W. Va.
View of houses at Beury, W. Va.
12. 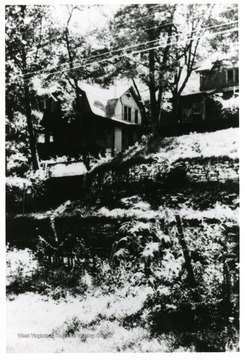 Fire Creek Store and Mine Foreman's House, Fayette County, W. Va.
Fire Creek Store and Mine Foreman's House, Fayette County, W. Va. 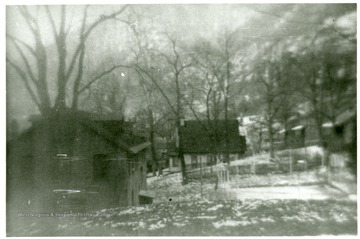 Mine foreman's house and surrounding buildings.